Closed circuit television (CCTV) is a system of formal surveillance which uses cameras on a closed circuit (not connected to outgoing cables) to either aid or replace security workers. Professionally installed CCTV systems can be used in homes, businesses and public places to improve the safety and security of property, identify perpetrators, prevent crime and to assist with public crowd control situations. Two thorough reviews of 41 carefully selected studies on CCTV and its effectiveness at reducing and/or preventing crime definitively showed that CCTV was able to reduce criminal activity. The scientific evidence of CCTV’s efficacy as a crime reduction tool, however, does vary depending on the specific situation, type of crime and location. Research has shown that while CCTV can reduce most types of crime, it most effectively lowered property and vehicle crime rates, especially in parking lots. The study reviews provided no evidence regarding CCTV’s effect on violent crimes. How Does the Presence of CCTV Work to Prevent Crime? A CCTV presence might increase a would-be criminal’s awareness of the risk of getting caught. In addition to perceived risk, CCTV actually does increase the chance that a criminal will be caught. The public might respond to the presence of cameras by taking increased precautions with their actions and choices. The presence of security cameras can signify the improvement of an area, increasing feelings of community pride. CCTV might also create a sense of security, encouraging public use of an area and increasing traffic (also increasing informal surveillance). Security cameras also bolster the effective and timely deployment of security professionals to incidents. Although it is unclear exactly how and why the presence of security cameras deter crime, it does not change the fact that installing CCTV surveillance does prevent criminal activity. To create a truly secure environment in any residential, commercial or public space, security cameras – thoroughly, safely and visibly installed – are an absolute must. 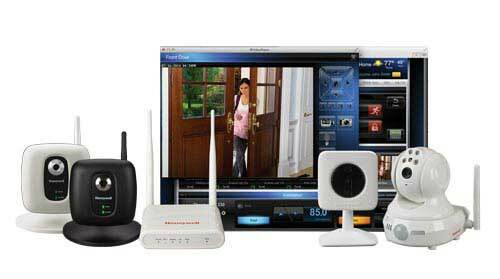 To learn more about CCTV surveillance systems and how they can help you secure your home, business or public space as a part of a complete security system, we encourage you to speak with a professional at Arpel Security Systems. Our experts can help you determine optimal camera locations and the best alarm system to meet your security needs.